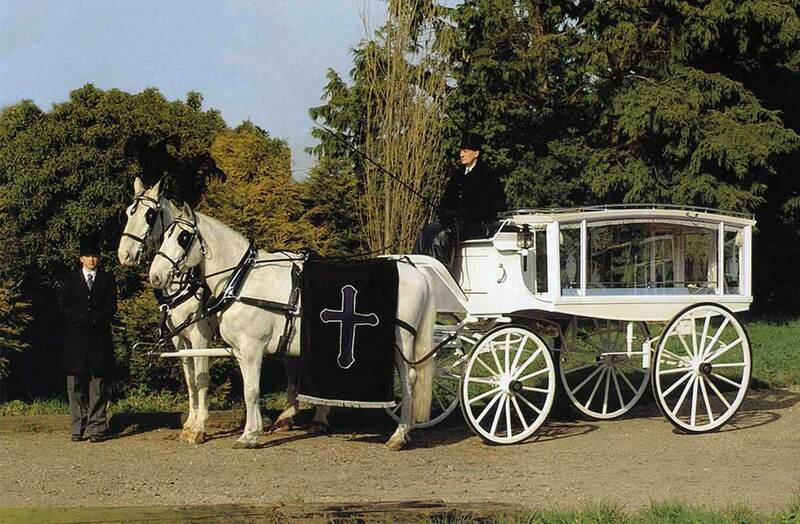 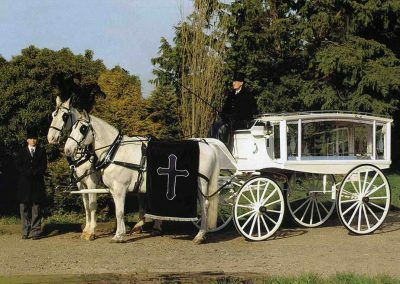 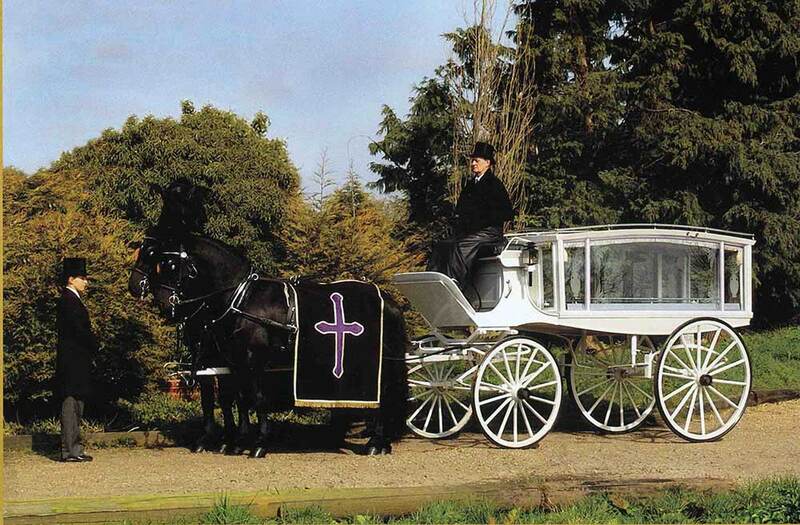 Our range of horse-drawn carriage hearses are available in black and white. 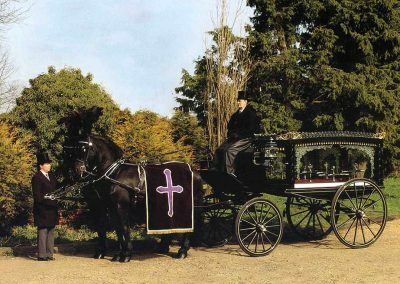 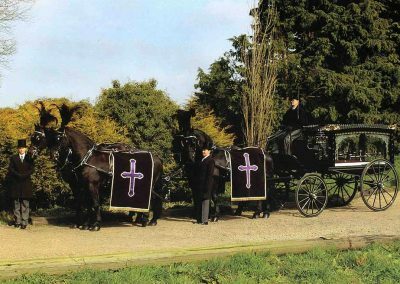 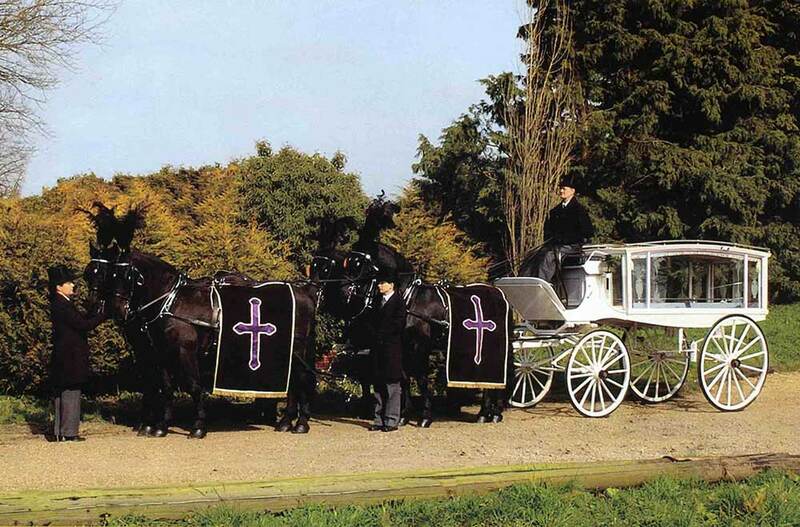 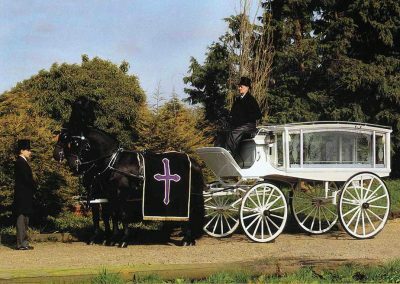 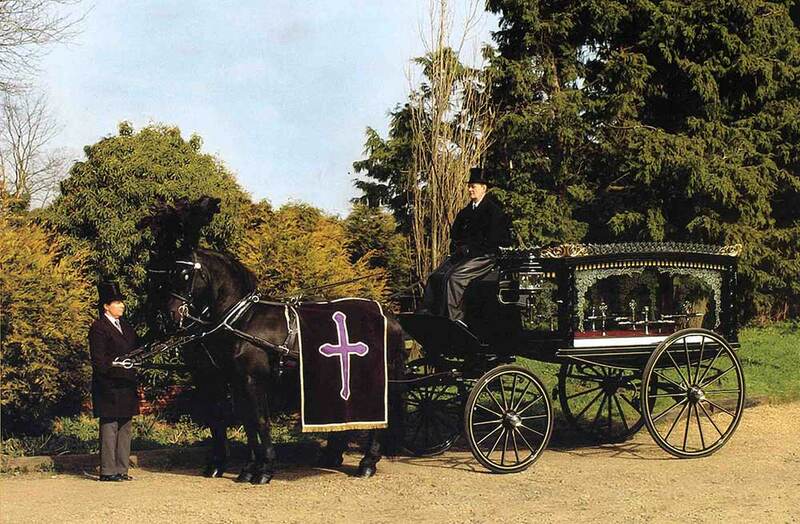 The antique hearses are drawn by pairs or teams of horses, a choice of black or white horses are available. 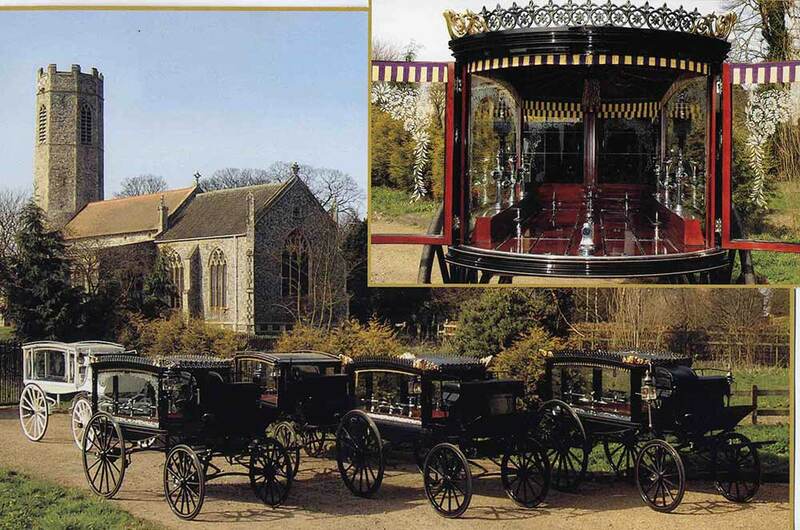 The carriage hearse has bowed doors, front and rear, with etched glass panels. 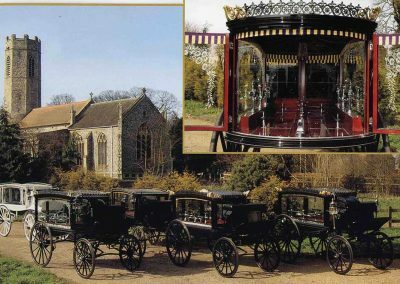 The interior is fully curtained to the sides and ceiling area. 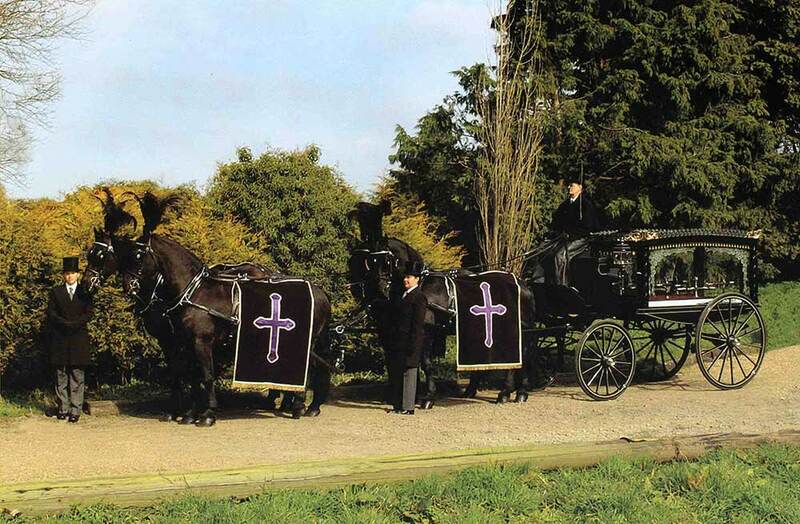 The bier can accommodate most sizes of coffin or casket. 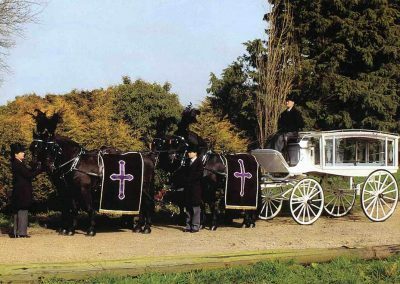 Floral tributes are usually displayed on top of the carriage.